The entryway to your home can be challenging to decorate. This high traffic area is often small and narrow making it difficult to fit in all the necessities. Decorating and styling our foyers frequently take a back-seat to functionality and storage. But why can’t we have both? Maybe the furniture in your entryway isn’t working for you anymore or maybe you’re ready to style it for spring! Whatever your entryway dilemma may be, we’re here to help! Today we’re sharing a few tips on styling your entryway and a couple ideas for keeping it clutter free! Your entryway should allow you to quickly dash out the door, grab your keys, sunglasses and check you make-up for any last minute mishaps. Nothing too complicated and not too fragile. The entryway should welcome your family and friends and invite you to leave your troubles at the door after a long day. Find pieces that will complement the style of your home and that will work for you and your busy family. Once completed your entryway should be easy to maintain, welcoming to guests and satisfy you with the peace of mind that you’ll never lose your keys again! Start with a proper-sized table. This is probably the most difficult step of the whole process. Most homeowners can accommodate entryway tables that are 15” – 18” inches deep. Our go-to suggestion for entryway tables is a good sofa table. While sofa tables are meant for the back of your sofa, the size usually works perfectly for foyers as well! Now that you’ve found your table you will be looking for adequate lighting for your entryway. It’s nice to leave a light on in your foyer during the evening for any late arriving guests. 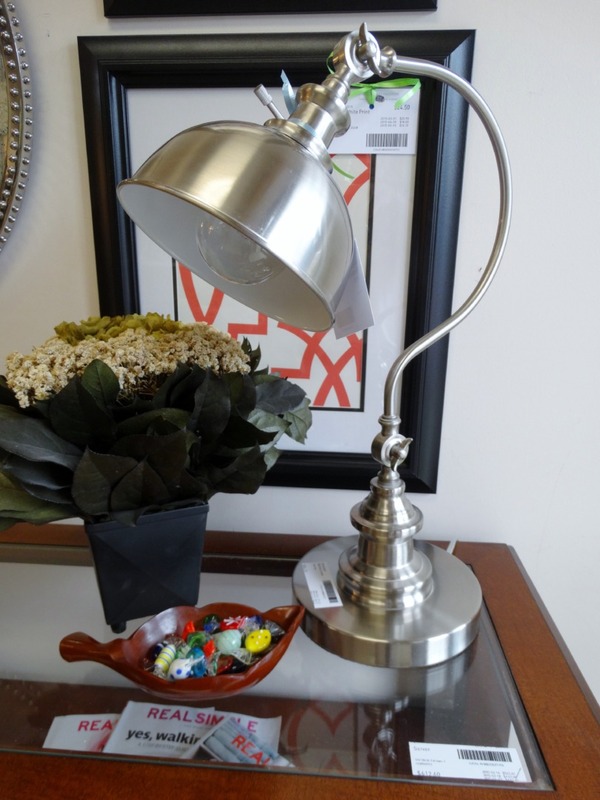 Here we’ve used this brushed silver lamp that could also be used as a desk lamp! Next step. Hang a mirror for last minute touch-ups, make-up mishaps, and double checking that, that hat does look good with your outfit. 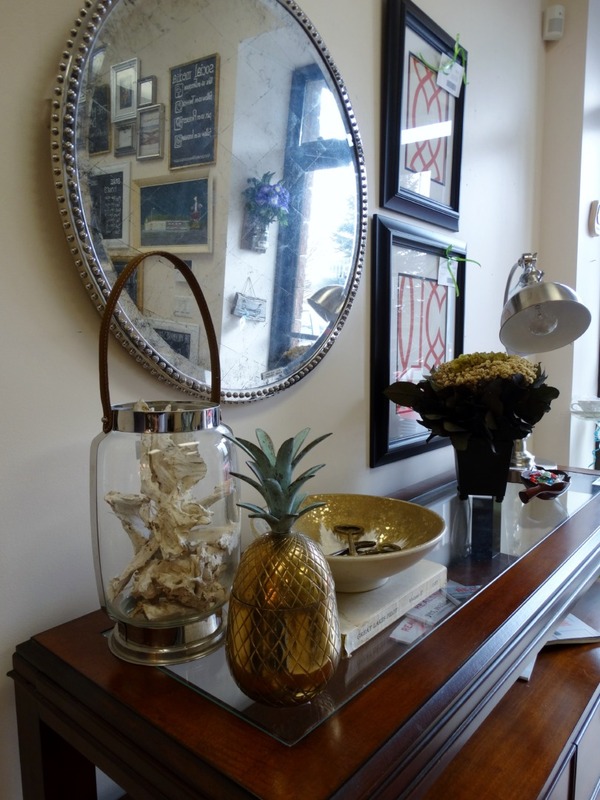 Mirrors are also great for making a space look bigger! Lastly you’re going to want to bring in all your accents and accessories to decorate the space. 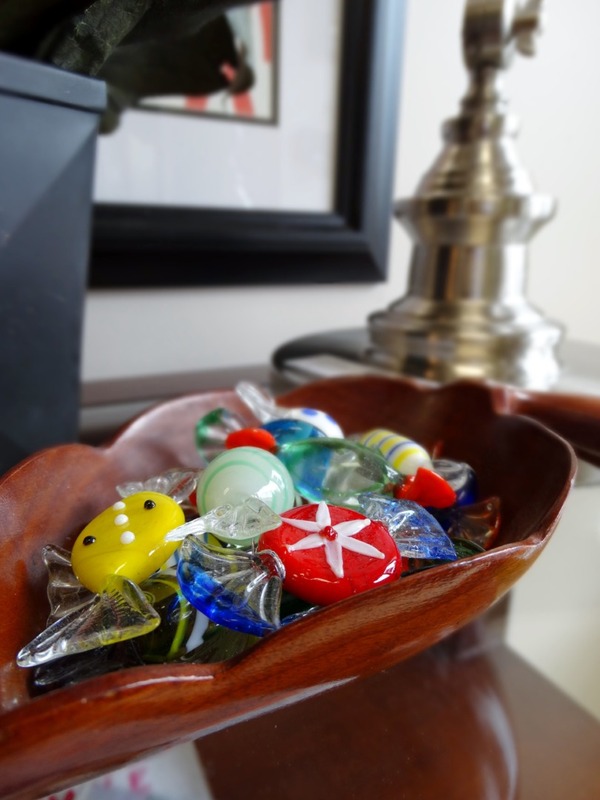 Small trinket bowls are great for keys and pocket change. 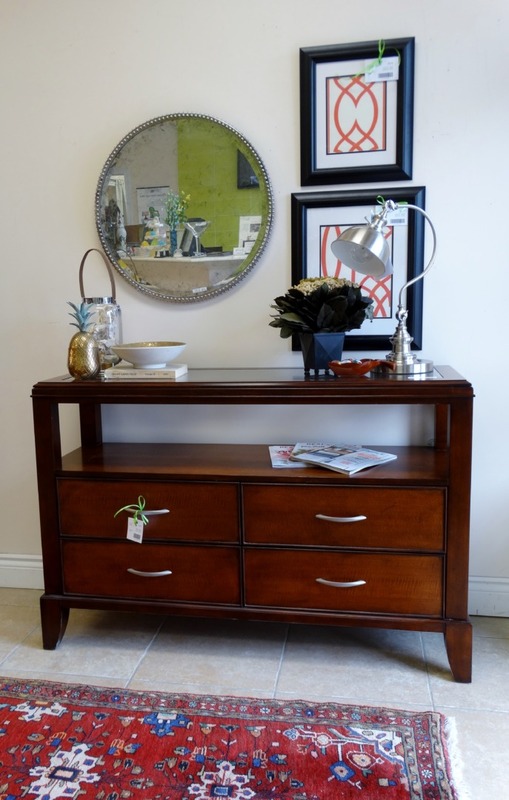 As always the style of your entryway table should reflect your own personal style and the overall look of your home. 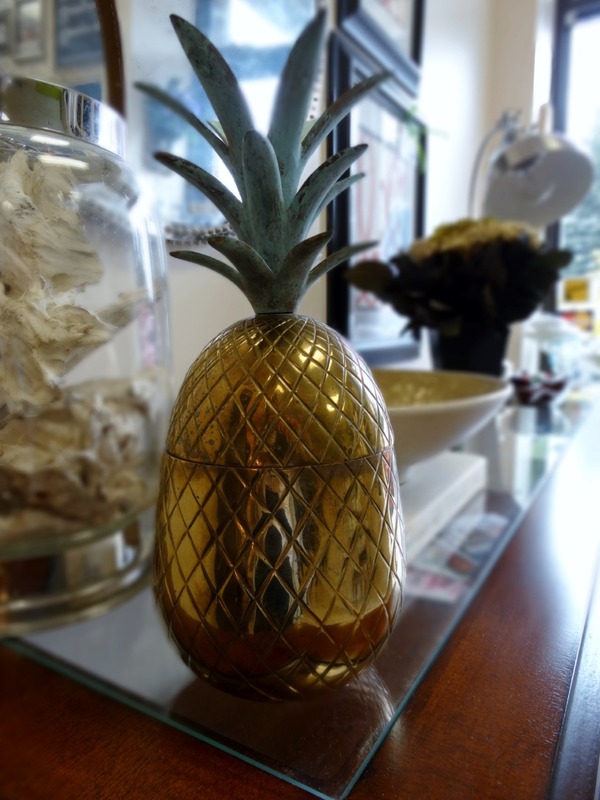 Here are a few accessories that we’ve used to spice up this vignette! 1. Look for storage solutions. 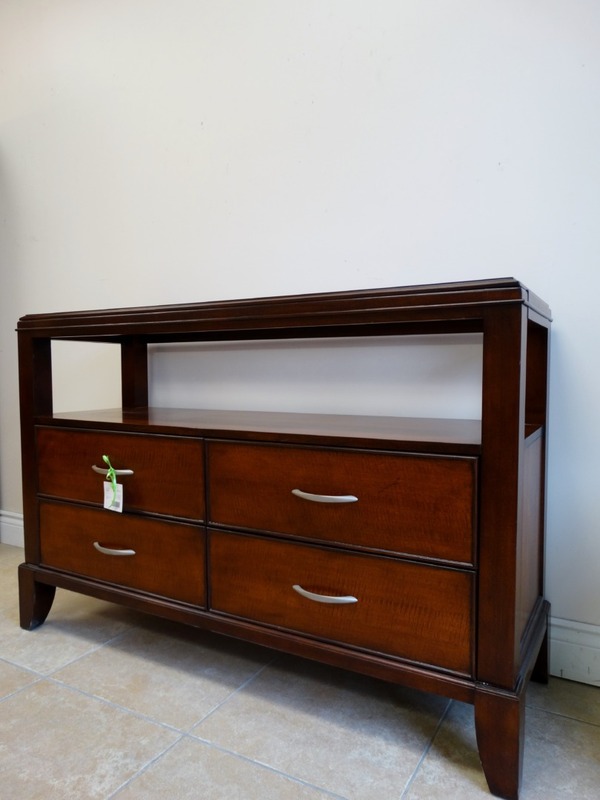 It’s ideal to find a piece for your front entry that has some storage space. That way you can tuck away all the mail, mismatches gloves and other knick-knacks that find their way to the front of you home. 2. Keep things off the floor. If you’re short on space using floating shelves for all your extras and make sure you’ve got a shoe rack to keep your floors as clean as possible, when possible! 3. Update seasonally. Each season, here in Canada, comes with it’s own set of outdoor accessories. Drawers that will hold mittens in the winter, an umbrella in the spring, and your ball caps in the summer are key! 4. Make it functional. If cubbies work for your family, do it! If you’d rather have a coat rack, that’s fine too! Your entryway is one space that has to suite your busy family and all their needs. 5. Make it a space you love. If you’ve put the time into decorating your entryway, you’ll be much more likely to keep it tidy. Make it pretty! It’s the first thing you see when you come home, it deserves some love! 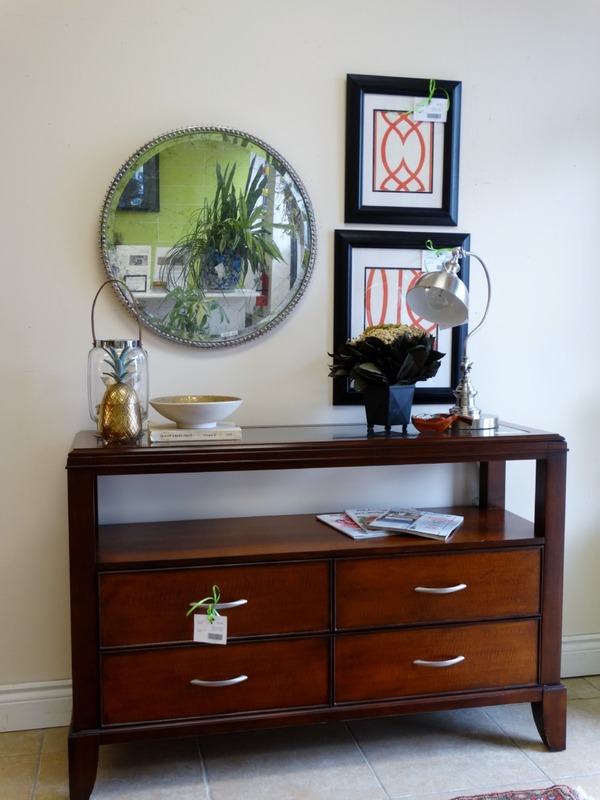 Have you found a great piece for your entryway? Share it with us!